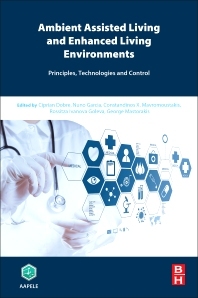 Ambient Assisted Living and Enhanced Living Environments: Principles, Technologies and Control separates the theoretical concepts concerning the design of such systems from their real-world implementations. For each important topic, the book bridges theory and practice, introducing the instruments needed by professionals in their activities. To this aim, topics are presented in a logical sequence, with the introduction of each topic motivated by the need to respond to claims and requirements from a wide range of AAL/ELE applications. The advantages and limitations of each model or technology are presented through concrete case studies for AAL/ELE systems. The book also presents up-to-date technological solutions to the main aspects regarding AAL/ELE systems and applications, a highly dynamic scientific domain that has gained much interest in the world of IT in the last decade. In addition, readers will find discussions on recent AAL/ELE technologies that were designed to solve some of the thorniest business problems that affect applications in areas such as health and medical supply, smart city and smart housing, Big Data and Internet of Things, and many more. Ciprian Dobre received his PhD in Computer Science in 2008 from the Computer Science Department at the University Politehnica of Bucharest (UPB), Romania. Currently, he holds a permanent position of Associate Professor at UPB, where he teaches classes on Parallel and Distributed Algorithms, Cloud Computing, and others. Ciprian Dobre has early scientific and scholarly contributions in the field of large scale distributed systems concerning mobile applications and smart technologies to reduce urban congestion and air pollution (coordinator of projects MobiWay and TranSys), and context-aware applications (coordinator of CAPIM, projects SPRINT, ONSIDE, HYCCUPS and others), monitoring (project MonALISA), high-speed networking (projects VINCI and FDT), evaluation using modeling and simulation (developer of MONARC 2, coordinator of projects VNSim and Sim2Car), Such contributions led to results beyond the state of the art. Ciprian Dobre was awarded a PhD scholarship from California Institute of Technology (Caltech, USA), and another one from Oracle. His results received one IBM Faculty Award, two CENIC Awards, and three Best Paper Awards. 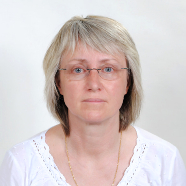 Dr. Dobre has widely published in peer reviewed international journals, conferences/workshops, book chapters and edited books and proceedings in the field: over 100 books, chapters in edited books, articles in major international peer-reviewed journal and in well-established international conferences and workshops. Currently he is local project coordinator for national projects ‘CAPIM - Context-Aware Platform using Integrated Mobile Services’, and ‘MobiWay – Mobility beyond Individualism’. Ciprian Dobre’s research interests involve research subjects related to mobile wireless networks and computing applications, pervasive services, context-awareness, and people-centric or participatory sensing. More information can be found at http://cipsm.hpc.pub.ro. Constandinos X. Mavromoustakis received a five-year dipl. Eng (BSc/BEng/MEng and MSc) in Electronic and Computer Engineering from Technical University of Crete, Greece, MSc in Telecommunications from University College of London, UK, and his PhD from the department of Informatics at Aristotle University of Thessaloniki, Greece. 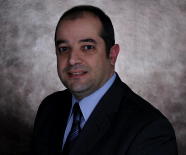 Dr. Mavromoustakis has extensive experience in simulation of wireless systems, MP2P and Opportunistic Systems, Mobile Computing and Web technologies. He serves as an Associate editor International Journal of Communication Systems (IJCS), Wiley, and editorial board member of the Simulation Practice and Theory (SIMPAT) Journal, Elsevier and as member of Technical Program Committees for various International Conferences. 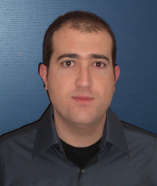 Nuno Garcia holds a PhD in Computer Science Engineering from the University of Beira Interior (UBI, Covilhã, Portugal) (2008) and he is a 5‐year BSc in Mathematics / Informatics also from UBI (1999‐2004). 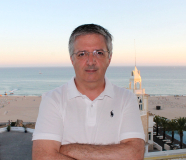 He was founder and is coordinator of the Assisted Living Computing and Telecommunications Laboratory (ALLab), a research group within the Instituto de Telecomunicações at UBI. He is the main author of several international, European and Portuguese patents. He is member of the Non‐Commercial Users Constituency, a group within GNSO in ICANN. He is also member of ACM SIGBio, ISOC and IEEE. His main interests include Next‐Generation Networks, algorithms for bio‐signal processing, distributed and cooperative protocols. Rossitza Ivanova Goleva received a five-year MSc in Computer Science, at Technical University of Sofia, Bulgaria. R. Goleva is one of the main researchers at Communication Networks Lab. at the Department of Communication Networks at the Technical University of Sofia. R. Goleva serves as a reviewer in ACM Workshop on High Performance Mobile Opportunistic Systems, ACM Symposium on Applied Computing, Journal Transactions on Emerging Telecommunications Technologies, John Wiley & Sons, Ltd., ICT COST Action IC0906, Wireless Networking for Moving Objects COST action Book - WINEMO2014 etc. She is active in IEEE Bulgaria section since 1999 being a treasurer, vice chair and chair, active member of IEEE Communication Society. She has more than 75 research papers in various conferences and journals. Dr. George Mastorakis received his B.Eng. (Hons) in Electronic Engineering from UMIST, UK in 2000, his M.Sc. in Telecommunications from UCL, UK in 2001 and his Ph.D. in Telecommunications from University of the Aegean, Greece in 2008. He is serving as an Associate Professor at Technological Educational Institute of Crete and as a Research Associate in Research & Development of Telecommunications Systems Laboratory at Centre for Technological Research of Crete, Greece. His research interests include cognitive radio networks, networking traffic analysis, radio resource management, energy efficient networks, Internet of Things and mobile computing. He has a more than 150 publications at various international conferences proceedings, workshops, scientific journals and book chapters.